Most parents, when raising a child, struggle with finding the right approach, one that both suits their own demeanor and provides some assurance of a positive outcome. Successfully navigating the landscape of“teachable” moments often requires this finely calibrated approach: a balance somewhere between severe restrictions that may girdle your child’s independent spirit and a laissez-faire hands-off approach that may pave the way to a well tailored orange jumpsuit. In my unexceptional experience, the correct response to much of what we parents encounter often requires patience, trust, and a steely willingness to be un-friended by your child(short periods of time that often seem like forever). On the subject of parenting and raising children correctly, there is no shortage of advice and how to books. Some are mostly clever, characterized by humorous anecdotes; some are quite laughable;some offer solutions not particularly germane to the circumstances I’ve encountered; some read like text books. 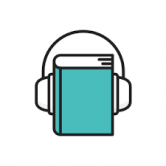 Thankfully, another subset within the genre provides helpful and engaging guidance for the broad spectrum of situations which every parent eventually encounters. To this select group, Keri White’s new book, The Mommy Code, is a welcome addition. Keri White blends humor with utility by providing colorful tales of typical Mommy challenges and concrete, proven ways to meet them. Although there is humor—frequently laugh out loud humor—on each page, the book is chock full of really useful tips. White’s gift suggestions, tips for entertaining en famille, and birthday party ideas are clever, innovative, and very user-friendly. She offers solid advice on social media, dealing with daddies, the care and keeping of nannies, mommying in difficult financial times, managing other peoples’ kids, and a particularly hilarious chapter on the “mom vs mom” playground wars. 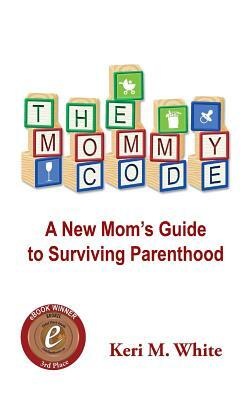 Keri White will be discussing The Mommy Code at Head House Books on Thursday, March 13, 2014.